For the past couple of days, Janasena chief Power Star Pawan Kalyan has been appointing some intellectuals and skilled personalities of various fields in key posts in Janasena. 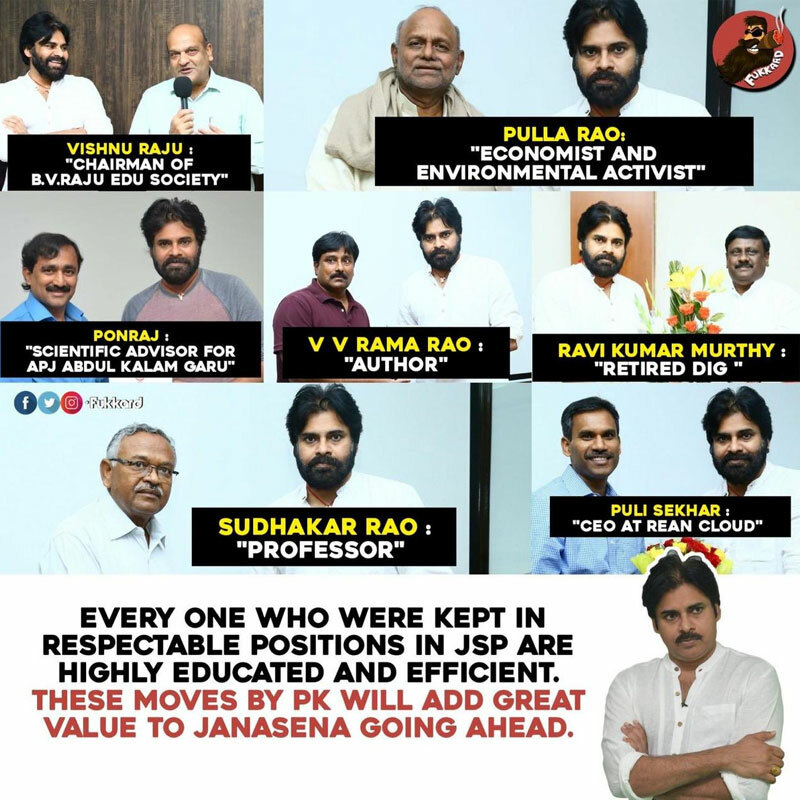 Renowned educationist Vishnu Raju, economist and environmentalist Pentapati Pullarao, scientific adviser of Dr APJ Abdul Kalam, Ponraj, author VV Ramarao, retired DIG Ravi Kumar Murthy, professor Sudhakar Rao and CEO at Rean Cloud Puli Sekhar assumed very crucial responsibilities in Janasena. Hero Manchu Manoj is immensely impressed with Pawan Kalyan's approach in selecting such eminent personnel in key posts in Janasena. "Having well educated professionals to help serve the public just adds a great value and meaning. Super happy to see @PawanKalyan sir take the initiative in trusting and giving respect to the worthy in @JanaSenaParty #APEletctions2019 #EducatedPeople," tweeted Manchu Manoj sharing above pic. Ram Charan's Mega Fight in RRR! Can Anyone Dare Take On Balakrishna? Naga Chaitanya Risking again with Flop Genre!